Overcoming obstacles seems to be in the DNA of the Midland-Odessa FC (MOFC) Sockers. Saturday night in Hamtramck, Michigan the Sockers silenced a large and raucous announced crowd of 7,533 at Keyworth stadium by defeating Detroit City FC (DCFC) 0-0 (4-2 on penalties) when Elliott Bentley converted in the fifth round of the shootout. The Sockers now advance to the NPSL Championship game against Elm City Express this Saturday at Reese Stadium on the campus of Yale University in New Haven, Connecticut. The game had ebbs and flows as happens in many playoff games. Newspaper stories below discuss the chances both teams had throughout the match. During regulation, the Sockers outshot Detroit City 18-8 and DCFC’s goalkeeper, former Houston Dynamo Academy player, Fernando Pina was forced to make 10 saves. The Sockers had the better chances in the first half, both teams dueled in the second half and Detroit City was unfortunate to not win in added extra-time, hitting the woodwork twice and having a ball cleared off the line. 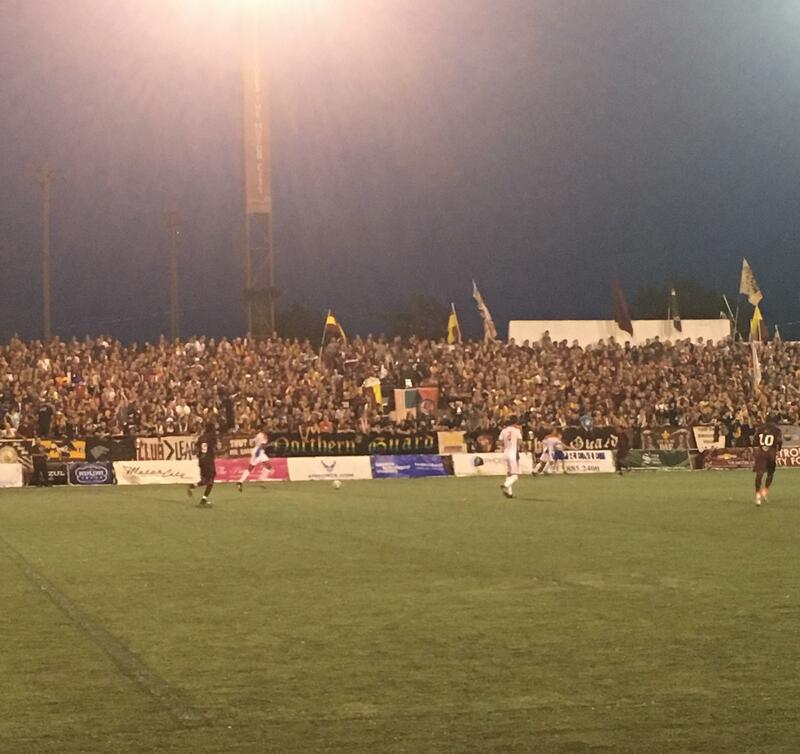 In the 3rd minute of the first overtime, DCFC had two excellent opportunities to score off a corner-kick. The first clanked off the post and the follow on was cleared off the line by Socker’s forward Andrew Moullin. Late in the second overtime, former Major League Soccer defender Greg Janicki smashed a header off the crossbar during a run of play that began with a DCFC corner-kick. Penalty shootouts and the word “crap-shoot” seem to always go together and this was no different. MOFC converted 4 of 5 penalty chances (Alvaro Rubio, Andrew Moullin, Isaac Sanchez and Bentley) and goalkeeper Braulio Linares-Ortiz saved two of the Detroit City penalties. The Socker’s Jamie O’Grady could have ended the shoot-out a round earlier, but was unlucky as his penalty hit the crossbar. In the same article, Detroit City FC coach Ben Pirmann only seemed to quibble with who controlled the game in the second half: “In the last 75 minutes we really took it to them”. Primarily because of the excellent quality of Detroit FC’s streaming service, impressive fan support and social media strategy, Saturday’s game drew staggering live streaming numbers for a semi-professional soccer game. According to the Detroit News, the game drew 30,000 viewers from live stream and social media. In a testament to the world-wide reach of the Internet, viewers from Northern Ireland made up more than 8% of the live stream audience Saturday. Midland-Odessa soccer is now global!